Growing up in Drimnagh in the south of County Dublin, Eamonn Coghlan played every sport he could. But being an average soccer or Gaelic footballer simply didn’t appeal to him. He decided to join his local athletics club, and never looked back. “The very first day I ran a mile race and I won. Luckily from the very beginning I was hooked. It was kind of me making a statement about myself, that I was good at something.” It was this fervent and unwavering desire to be more than merely average which would lead to him becoming one of this country’s greatest ever sportspeople. Coghlan says for a lot of athletes self-doubt begins to creep in when performances aren’t up to their usual standards, and that’s when performance-enhancing drugs come in. Many athletes have ruined their reputations because of their drug use, and Coghlan says the temptation was indeed there. “When you lose your confidence in your ability, when you lose your belief in yourself, you’ve got to turn somewhere else for aid and that’s where the danger is.” He even went so far as to get a prescription, without really knowing what the drugs even were. Fortunately, his guilt got to him and he threw it out. Whatever the future brings for Eamonn Coghlan, if it contains a fraction of the excitement of his past there will be chapters to add to his book. 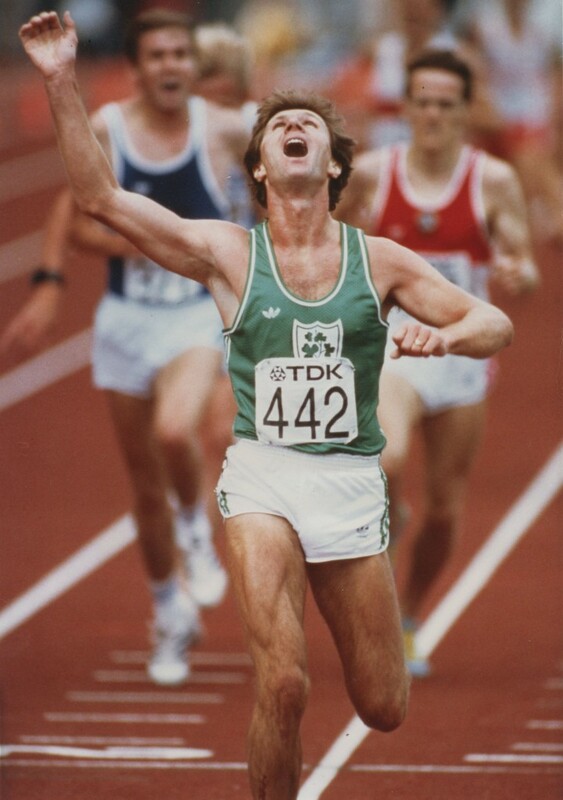 Eamonn Coghlan – Chairman of the Boards, Master of the Mile.